The success of artificial intelligence in the face of OG was with an aggressive and unconventional method, such as the immediate resurrection of heroes in the early stages and the selection of worthy heroes. OpenAI Five successfully beat five players from the OG team at Dota 2, a veteran team that won the Valve 2018 International competition. While OG fought well, he could not handle OpenAI for more than 30 minutes round. But there are more. OpenAI demonstrated how Five could play in front of people and learn from their game styles. But do not think it’s perfect. Usually OpenAI chooses short term strategy and can only play under certain rules. People are better off in long-term strategy and OG could have won if AI would not have created the advantage at first. OpenAI is powerful enough not only to score successfully in Dota 2, but also in other games. The techniques here learned logically can also be applied to robots and other tasks that are not related to games. This was the latest OpenAI public demonstration. 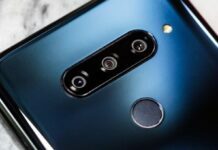 Previous articleGalaxy S10 Vs. IPhone: 5 Reasons to Pass On Galaxy S10!